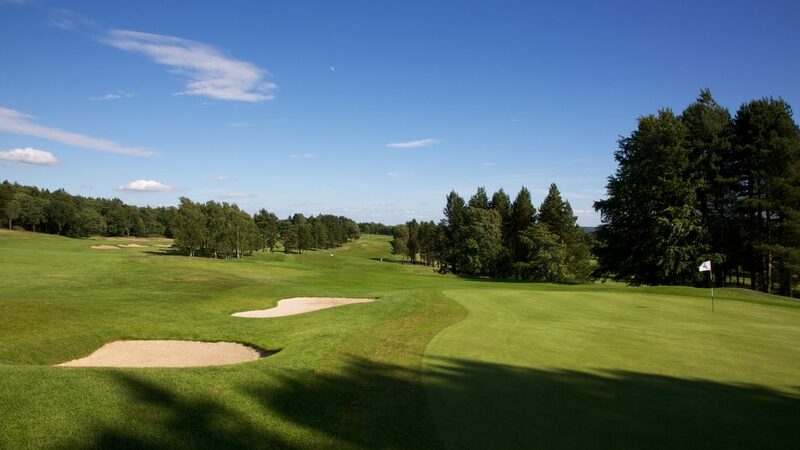 The Bradford Golf Club is one of the oldest and most prestigious golf clubs in Yorkshire. The open moorland course on the border between Leeds and Bradford affords stunning views over Baildon and Rombald moors. Laid out in 1899 by renowned golf course architect, W. Herbert Fowler. The club has embarked on a thoughtful rediscovery of its Fowler heritage, with the trees now forming more natural groups, with the iconic 16th and 17th completed. Three further holes will be ready for the new 2018 season. The clubhouse at The Bradford underwent a £350,000 refurbishment in 2012 and, today offers a beautifully appointed, contemporary space with a friendly, welcoming atmosphere. The clubhouse offers a well-stocked bar and menus that are designed to give guests a great deal of choice to suit all palates and budgets. One of the very best golf course in the region and a real challenge for golfers of all abilities, playable throughout the full year when many other local courses are closed. We pride ourselves on a friendly welcome and a flexible approach to ensure you and your guests enjoy your golf day. Whether you choose a pre-set package or would like us to help you create a completely unique golf day experience, our dedicated team are ready to cater for your every need. 18 hole packages with breakfast, lunch and evening dining options available, freshly prepared by our on-site chef. Winter season, October to March,Packages start from £25pp. Summer season, April to September, Packages start from £50pp. We are always happy to discuss tailored requirements to suit individual requirements. From Leeds: take the A65 (Leeds/Ilkley) to Guiseley at the White Cross Pub roundabout take the first exit towards Shipley/Bradford for 1 mile. Turn right onto Hawksworth Lane and the club is 1 mile on your left. Book online for our best rates www.bradfordgolfclub.co.uk or call 01943 875 570. 18-hole course, modern club house, bar, large outside patio, function rooms, pro shop, free WIFI, changing rooms and lockers, large car park, putting green and large practice area with practice nets.